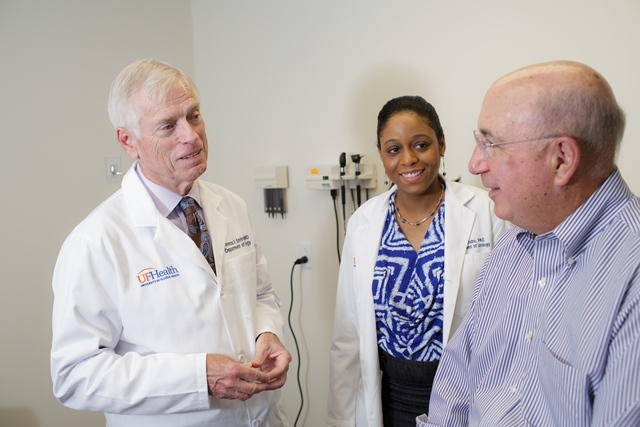 At University of Florida Health Urology, we understand the importance of providing individualized care to enhance you and your loved one’s quality of life. Our office is staffed by fellowship-trained experts and compassionate staff who work together to offer patients a dignified approach to improving urologic conditions through advanced technology and multidisciplinary state-of-the-art care. 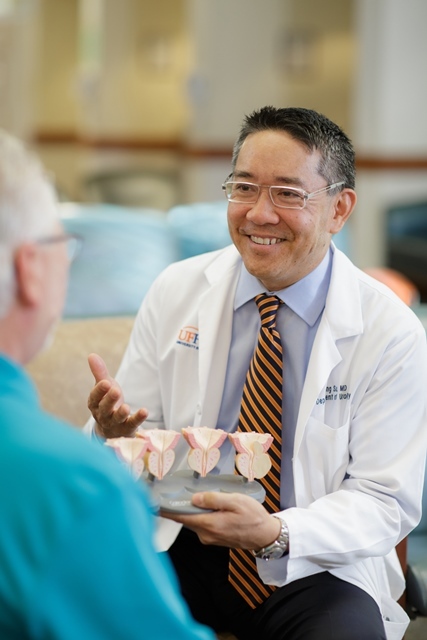 Urologists at UF Health are adept at the diagnosis and management of the entire spectrum of urologic diseases, including urinary tract infections, benign prostatic hypertrophy, kidney stones and urologic cancers. We work in conjunction with your primary care doctor to recommend the best course of treatment. Our UF Health fellowship-trained urologic oncologists are dedicated to providing comprehensive care and multispecialty consultations for patients with all types of urologic cancers. With cutting edge diagnostic imaging, therapeutic strategies and clinical trials, we will design a treatment specific to your unique cancer condition, and provide you and your loved ones with the highest level of compassionate care. We have one of the largest team of specialists in the state who treat a broad range of urinary tract stones arising in the kidney, ureter and bladder, using all minimally-invasive treatments. In addition, we have a multidisciplinary stone clinic made up of urologists and nephrologists to design patient-specific prevention strategies through diet and medications to help reduce stone recurrence. We have the latest diagnostic testing and imaging available to aid in the treatment of women with pelvic floor disorders, such as overactive bladder, urinary incontinence and pelvic prolapse. Our pediatric urologists care for children of all ages, treating conditions that range from those identified on prenatal ultrasounds to rare congenital genitourinary anomalies. At UF Health, we specialize in the treatment of sensitive medical conditions pertaining to the sexual health of men and women. We strive to improve the quality of life of patients and their partners by providing both surgical and nonsurgical options to treat some of today’s most common sexual disorders, including erectile dysfunction and low testosterone. Our urologic-trained physicians offer a comprehensive approach to the treatment and management of urologic diseases for all ages and genders. 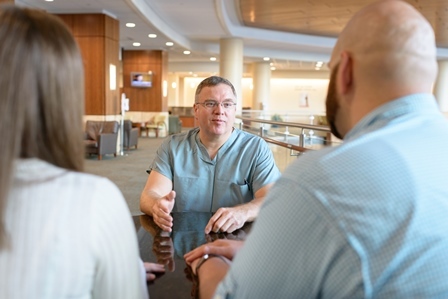 From simple to complex urologic issues, our multidisciplinary team provides compassionate care to treat even the most sensitive of medical concerns.